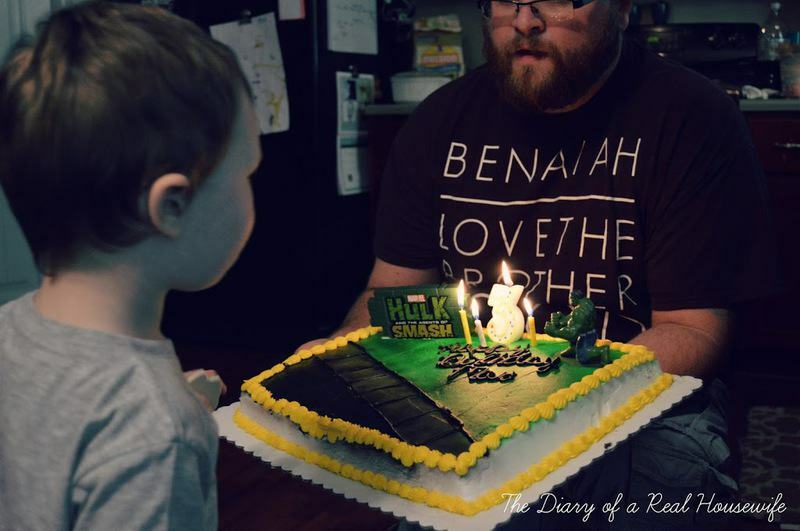 Our big boy is now the big three and we got to celebrate this past weekend with a Hulk Smash Bash! 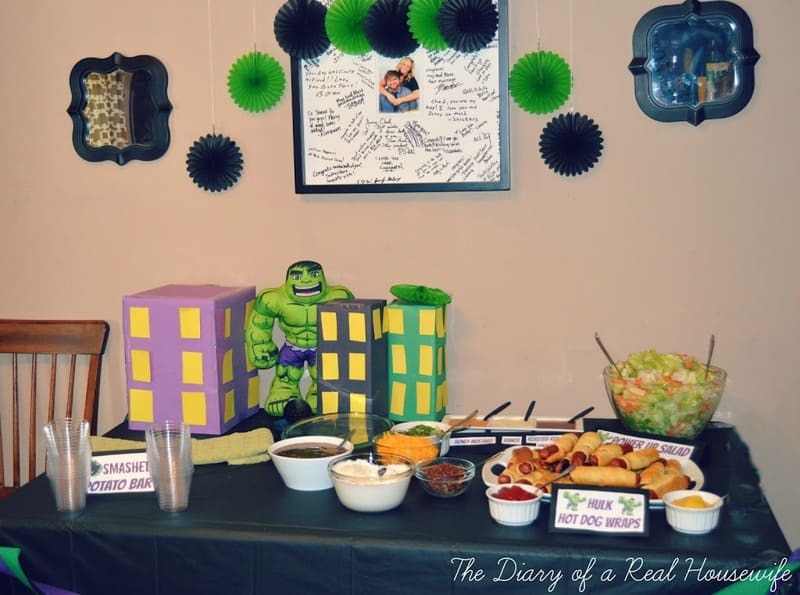 I love a good theme and planning a fun party and thought I would share some ideas for you boy moms who have hulk fans! 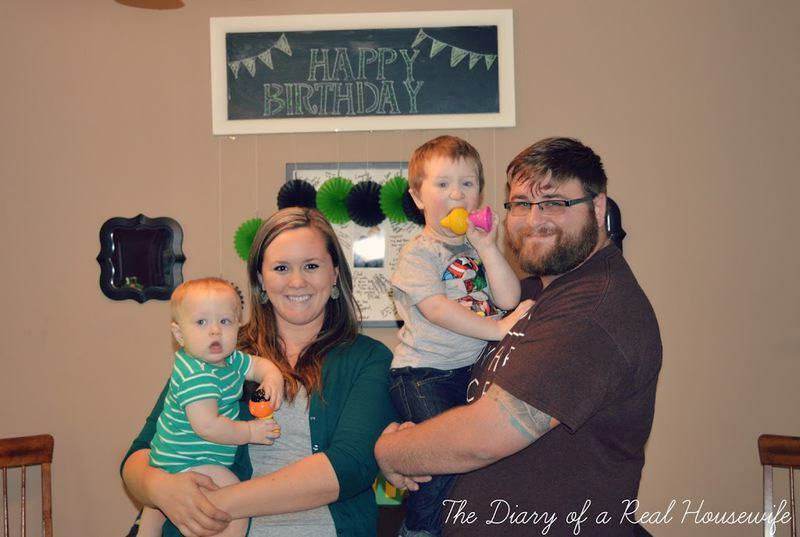 This was Max’s first big party with more friends then family. He had such a fun time. We had a great turn out, had lots of fun and of course lots of yummy food! When I plan a party I usually get a color scheme to work with. Buying most the décor in a plain color instead of character theme will save you some money. I went with black, green, and purple to go with our Hulk theme. For the table I used some old boxes and wrapped them in construction paper then cut out small windows to make them look like tall buildings. 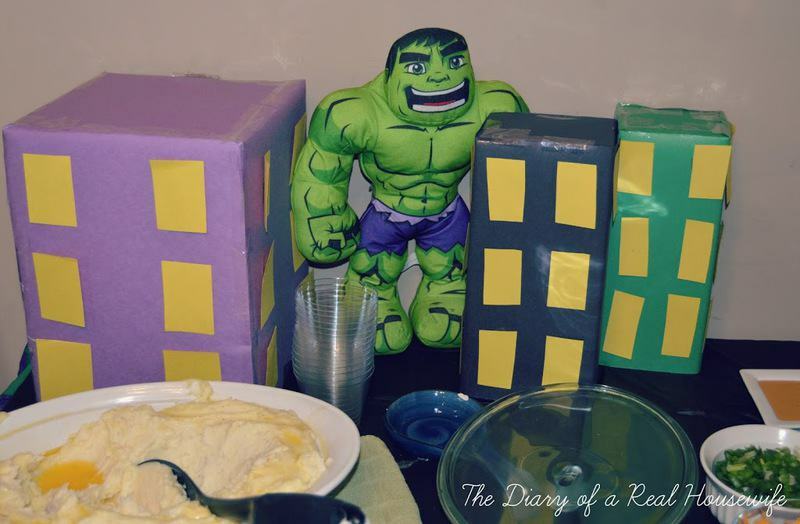 I added one of Max’s large stuffed Hulk toys to the buildings to look like he was smashing the city! Since this party would have more kids I wanted to think of an activity for them to keep them busy. We decided to make Hulk mask. 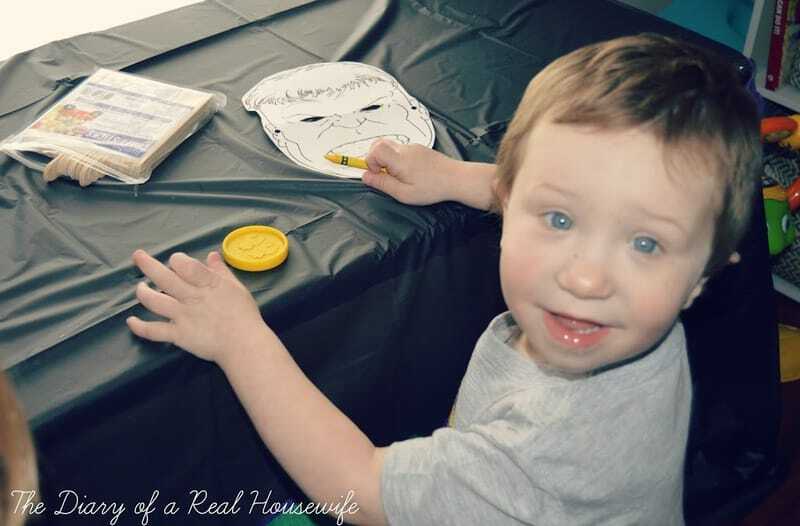 I printed the out and cut out the Hulk face then sat them on a table with crayons, tape, and popsicle sticks. 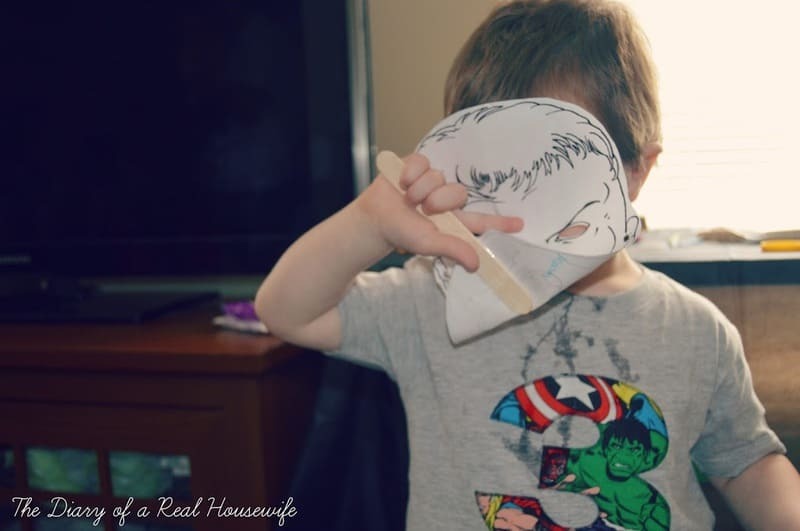 The kids had a lot of fun making their own mask! 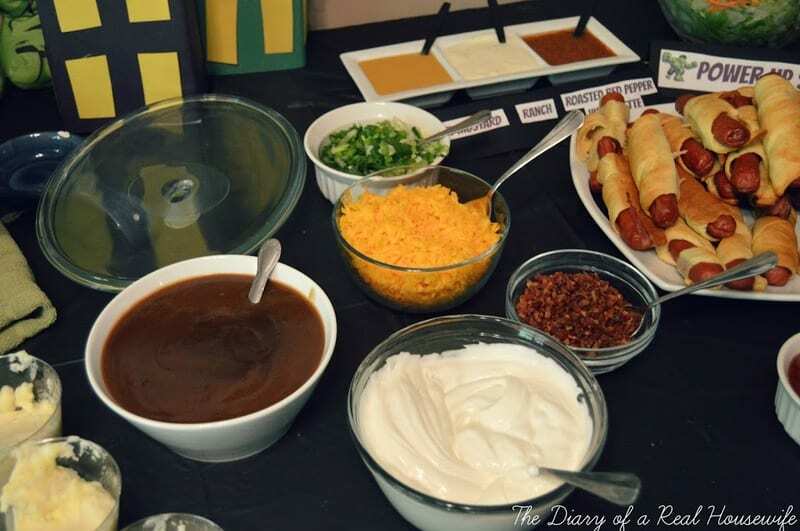 As most of you can guess I like cooking and therefore I had lots of fun planning the menu for the party. 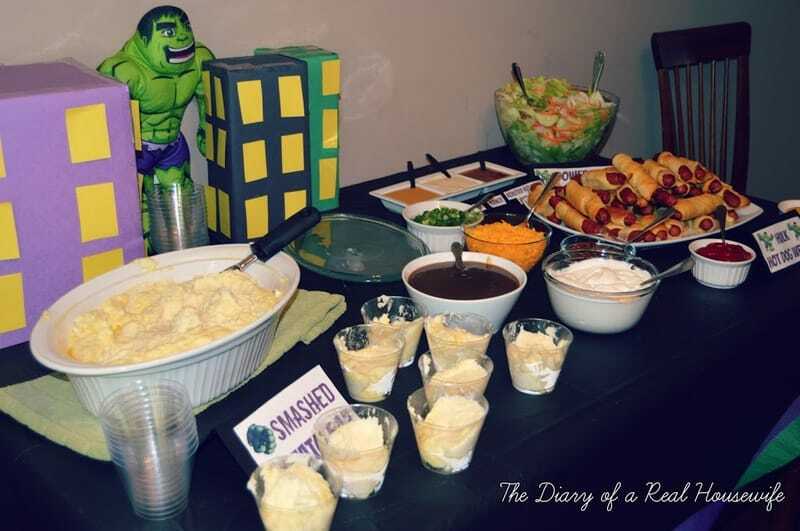 I served some green hulk punch that everyone loved ( I will be posting the recipe soon) to drink. 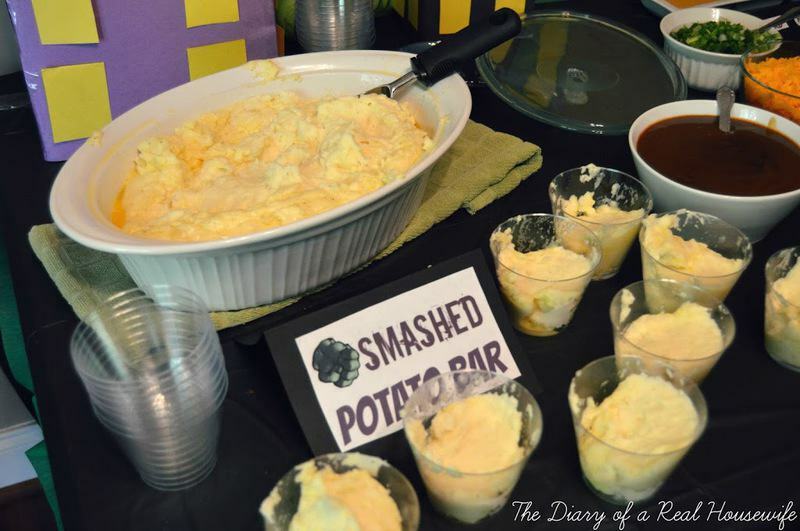 For the food we had a “smashed” potato bar that included, gravy, sour cream, green onions, bacon, and shredded cheese. 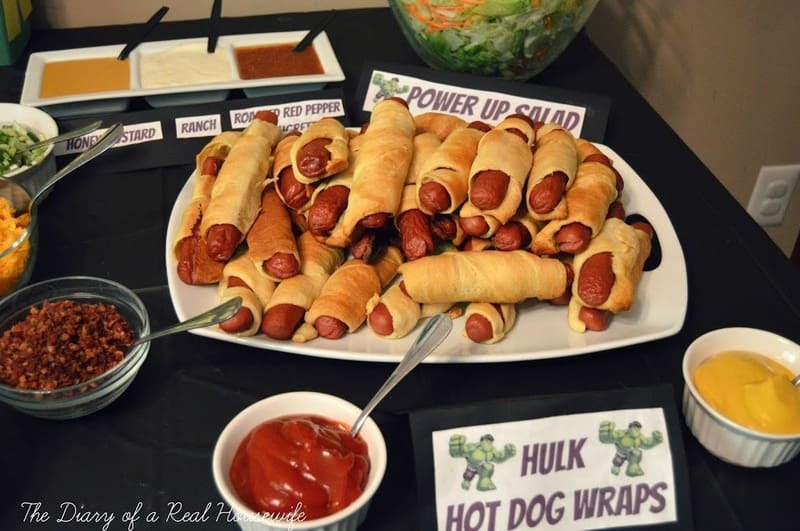 We also had a “power up” green salad and “Hulk” hot dog wraps. 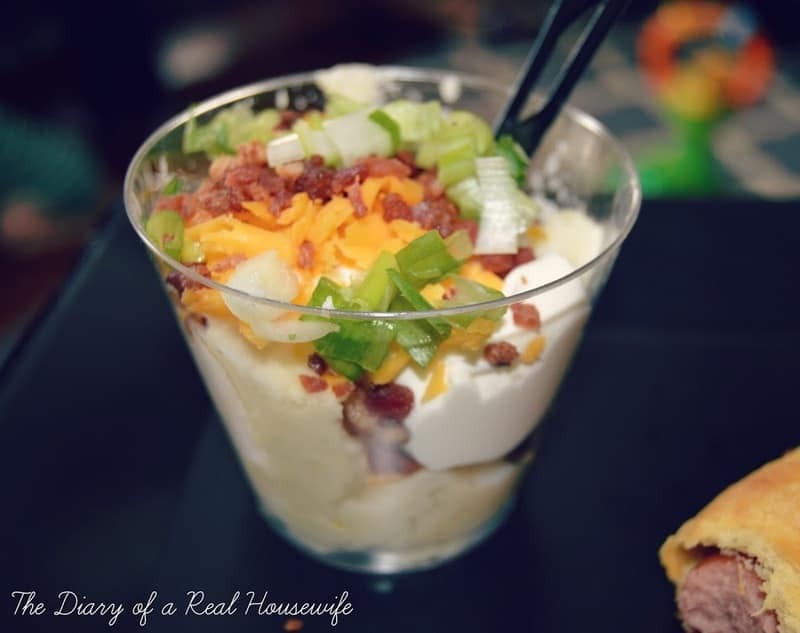 I used the pioneer women recipe for my mashed potatoes so you know they where good! Overall I think the party was a success and I had lots of fun getting all the decorations and food together. I got Max’s birthday tee shirt from Right up your Ali on Etsy. 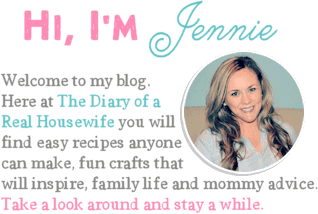 Go check out her page! 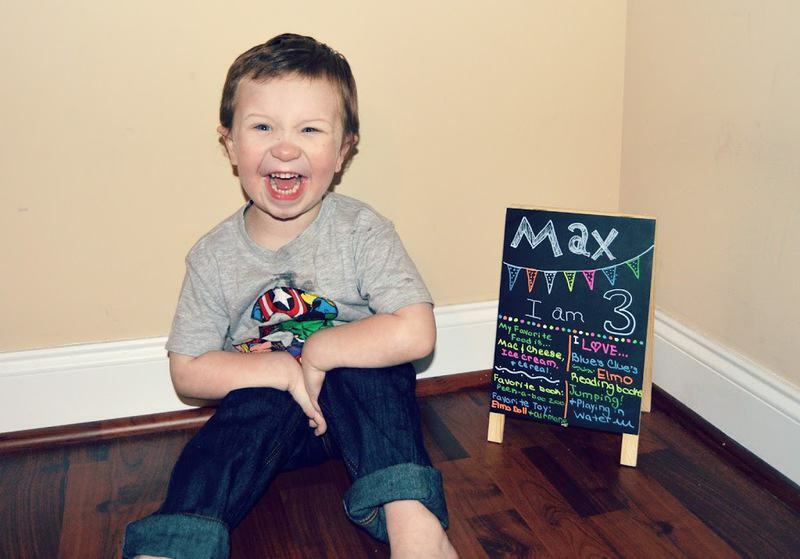 Aww I love Max’s “3” shirt and what a great idea for a party theme! 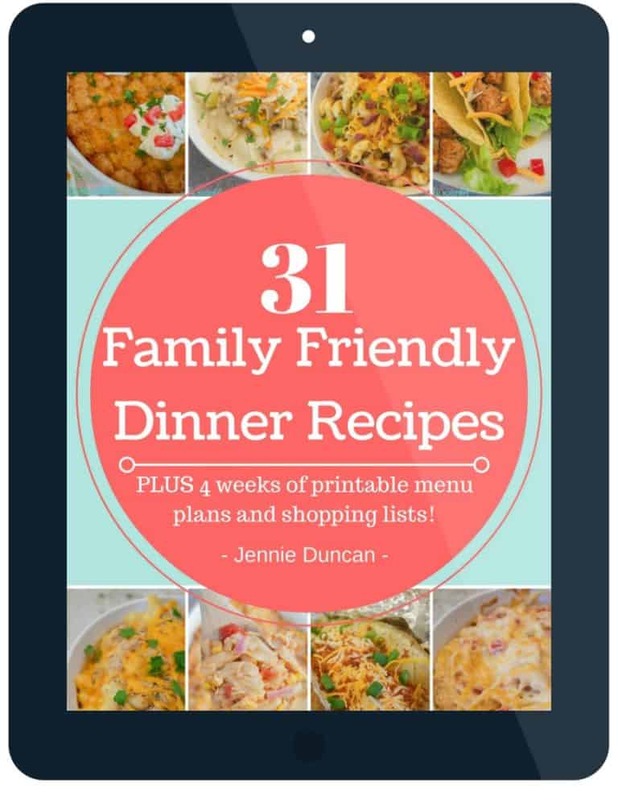 I love all the creative food! 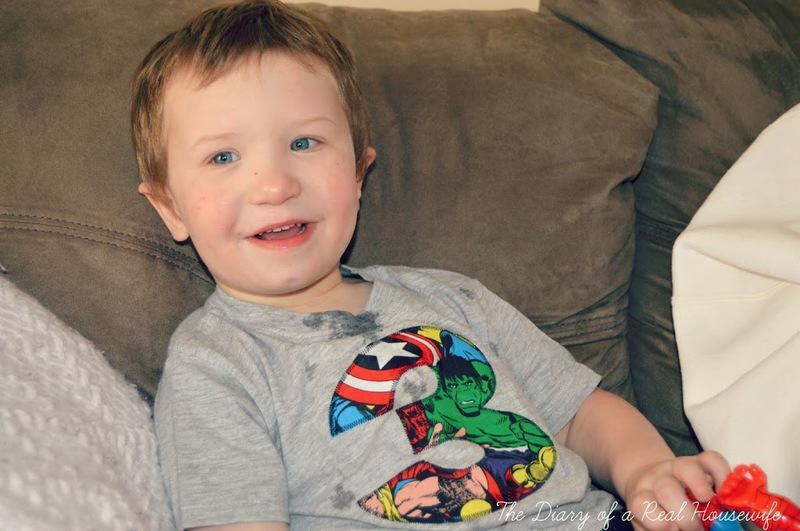 Happy Birthday to Max! What a great party! what a great birthday! Potato bar, what a cute idea! I love theme! What a fun boy party!! Aren’t birthdays such a bittersweet time? LIke why do they grow so fast? !